San Martin is a South County community which lies between Morgan Hill on the north and Gilroy on the south. It shares many characteristics with both, though it does not also have a walkable downtown per se. Parcels are larger and it’s even more of an agricultural area than the Morgan Hill or Gilroy for that reason. It features an airport, too. Slightly warmer and more inland than much of Santa Clara County, the “South County” communities of Morgan Hill, San Martin, and Gilroy exude the feel of peaceful country life, while maintaining plenty of urban resources. Morgan Hill is a newer community with a population of mostly middle class professional households. It is also one of the fastest growing cities in Santa Clara County. Many Morgan Hill homes were built within the last 30 years. The northern part of town, off Cochrane Avenue, is bustling with new home and retail construction as of 2015+. One of those newer neighborhoods is Mission Ranch, and within it there are some very new communities such as Terra Mia at Mission Ranch. Looking for a view property? Love to boat? You may want to consider purchasing a home in Holiday Lake Estates or Jackson Heights, which sit near beautiful Lake Anderson. If a lush, green area near the coastal foothills is your ideal, you’ll want to take a drive out to the Llagas area. Or maybe what will perfectly fill the bill is a “walk to downtown” location. 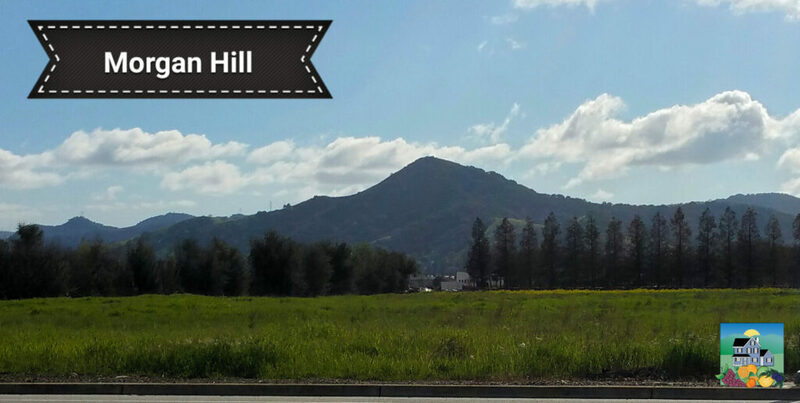 Morgan Hill enjoys a very attractive downtown area with some great restaurants and shops. Morgan Hill is still known primarily for its wineries (such as Guglielmo), farmland, and fruit stands. With plenty of open space, active farms and ranches, three nearby golf courses, regional parks, tennis, softball, soccer, the placid Lake Anderson and a myriad of other activities, there is always plenty to do. Many Silicon Valley commutes are between ½ hour and 1 hour long, though several major employers offer locations in the area, such as Abbott Labs, Media Arts, and Anritsu. Crime rates are low and schools range from above average to excellent with strong family support. 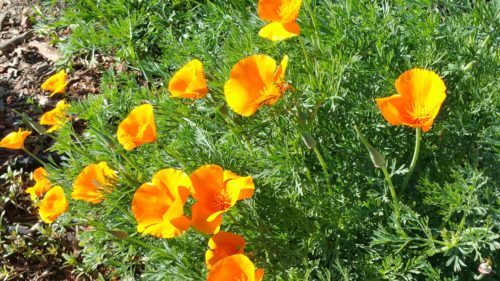 If you’re interested in the Morgan Hill Real Estate Market, please check out the post on my Valley of Heart’s Delight blog. Just south of Morgan Hill is San Martin, an unincorporated area which shares many characteristics with both Morgan Hill and Gilroy. In Gilroy, home of the famous Garlic Festival, summertime is full of fun with many other summer music opportunities and occasional street dances and holiday parades. The outlet shopping is famous, and a large draw on the weekends. Gilroy Gardens makes it a great destination for families with kids, too. Below please find a live Altos Research chart, showing the median list price of homes for sale in both Morgan Hill and Gilroy – this will give you an idea of what a house might cost there. I love to write and have a number of blogs – but most of my writing on the Silicon Valley real estate market, home buying and selling tips, negotiation strategies and more you can find at my Valley Of Heart’s Delight blog. Please check it out, as that one is updated on a very regular basis, often daily – or more! The Los Gatos real estate market trends are in the seller’s favor in the more affordable price points, and more balanced, to the benefit of the buyer, in the luxury bracket of the market. First, some data from Altos Research, with data based on listings (not solds) by zip code. This part of Los Gatos has the Los Gatos Union School District and features locations closer to downtown Los Gatos than 95032 or 95033 (the Los Gatos Mountains area). For that reason, it’s a little pricier than other parts of town. With the higher prices come a bit slower of a real estate market, so here Altos says that it’s a market only slightly in the seller’s favor. The hottest segment of this zip code is the 3rd (from the top) pricing tier, homes listing at about 2.8 million or so. The 95032 zip code in Los Gatos is more complicated than 95030 for a few reasons. First, part of it is in the Los Gatos Union School District, part is in the Campbell Union School District (west Los Gatos near the Saratoga and Campbell borders), and part is in the Union School District (shared with the Cambrian zip code of 95124 in San Jose). All are good to great schools at the elementary and middle school level. At the high school level, Los Gatos High will have a little more draw than Westmont or Leigh High (in the Campbell Union High School District), so that part of 95032 will sell for a bit more. Additionally, since west Los Gatos is closer to Cupertino and Apple, and other high tech employment centers, that side of 95032 will sell for a little more than east Los Gatos – though that could change with the new Google complex in downtown San Jose. Cupertino has been a hot ticket item for a long while. With plenty of business, major employers like Apple, great public education and parks, it’s no surprise this is a highly desirable place to call home. Both the single family and condo markets have been hot for years, but with the prolonged seller’s market that’s surrounded the South Bay for the last year or more, things are even crazier than usual. So how to we understand the market? Using data from the MLS, below are two different charts for analysis. Firstly, the RE Report takes the data of home sales over the last month and compares it with the month prior and the year before to identify shifts and trends. At the bottom of this page is a graph taken from Altos Research, which used data gathered from the same source but divides the housing market into pricing tiers, showing the market trends and changes within these distinct groups from entry-level to luxury markets. For an average sized home in Cupertino, expect to pay no less than $2,000,000 – a high price for a popular community. The average and median price has risen by double digits since last year, and with sales selling for higher above list price, the market is definitely hotter than 2016. Sales vs list price percentages are stable since last month, with homes selling well over list price. Homes are selling on average in about one month, a speedy turnover, and many more have sold than are active. There is a strong sellers market that refuses to let up in the single family market in Cupertino. Read the full RE Report with more information through the link. In most markets, condos show very different trends from the housing market, usually being much slower. That being said, a prolonged seller’s market and a huge lingering demand has made many condo markets just as hot as their housing couterparts, and Cupertino is no exception. Sales vs list price shows that properties are selling on average at 110.5% of list price – almost as high as single family homes – and faster at a mere 18 days on market. With that in mind, notice what a small inventory the data is collected from. With low numbers, the percentages can swing wildly and are not as reliable. Looking at trends over many months is more helpful in this case. Condos have been selling quickly and well over list price for as far back as the charts show, meaning the condo market is a firey hot seller’s market. Read more in the full RE Report through the link. The chart below shows market trends for Cupertino divided into four pricing tiers. Looking at it in quartiles shows not only the average cost of properties, but also the differing trends. Here you can see that the luxury sector has harsher high and low points, and that the current luxury market has falling prices for the first time in a while. the lowest price points are the most stable, and show a fair amount of stability through last spring and summer. The high-end (but not luxury) market may have some bumps, but it’s on a steady upward trajectory, meaning this might be where buyers are facing the greatest challenges and fighting to make competitive offers. Los Altos is one of Santa Clara County’s most prestigious towns (read “among the most expensive Silicon Valley real estate”). Prices for houses currently begin at about $2.5 million for a home that’s livable as is. 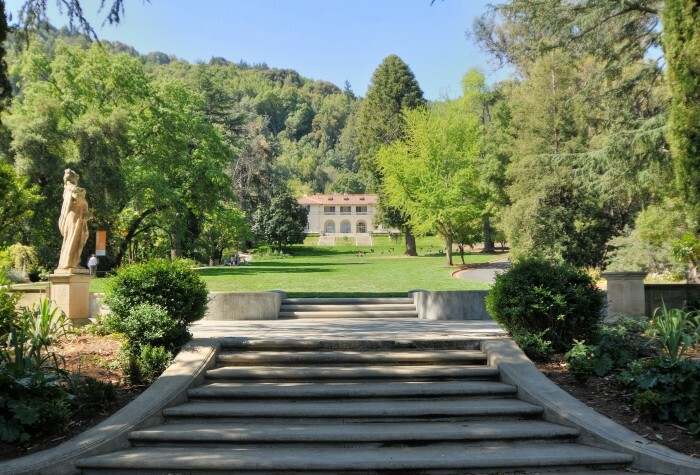 Los Altos is located in the northern end of the county, just 10 minutes from Palo Alto and Stanford University. It is close to the San Francisco Bay and catches more of the “bay breeze”, so can be a little cooler in summer than Los Gatos, a town with which it is often compared. Once a logging town known as Bank Mills, the Saratoga, CA, is now considered an upscale suburb of Silicon Valley and San Jose with a very high quality of life. 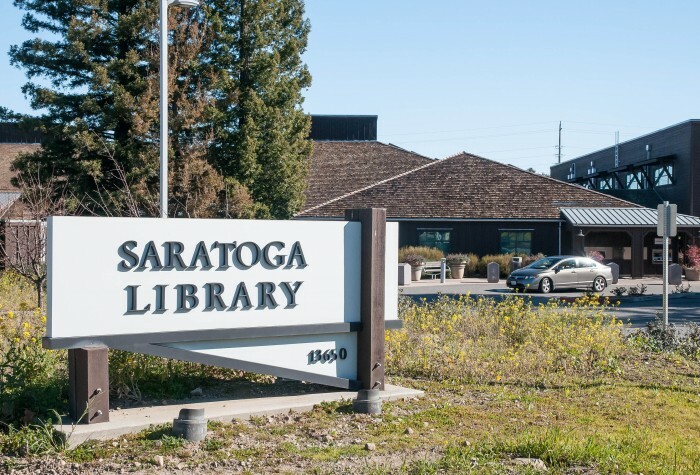 Where is the city of Saratoga? You’ll find it just north of Los Gatos and Monte Sereno along Highway 9, and like them, it sits at the foothills of the Santa Cruz Mountains and provides a path to the coast, also via Highway 9 (Big Basin Way). Downtown Saratoga, CA, known as “Saratoga Village” or simply “the Village” is an active strip along Big Basin Way with shops, boutiques, restaurants, spas, and wine tasting bars. Just off this main drag you’ll also find the lovely Wildwood Park. It is less busy at night than Los Gatos, so those who prefer things a little quieter will love it here. There are plenty of events and entertainment to keep you busy with venues such as Villa Montalvo, the Mountain Winery, the Hakone historic estate and gardens, West Valley College, vineyards and horseback riding all within town limits. Downtown Saratoga's Memorial Arch, built in 1919 in tribute to the Saratoga residents who lost their lives in World War I. Next to Memorial Arch is the plaque, Historical Landmark No. 435. 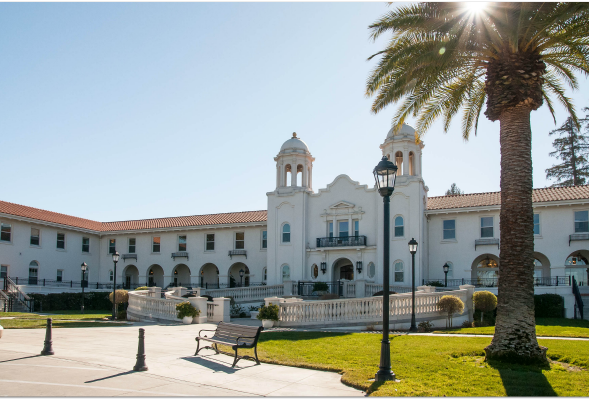 West Valley College: "Education is a journey"
What are the Saratoga, CA neighborhoods like? Neighborhoods often boast meandering roads, no streetlights, and views of the hills giving Saratoga its signature rustic feel. There are some older, historic areas known as Heritage Lane (Austin Way still has a brick road!) with interesting architecture. Like the rest of Santa Clara County, most of this lovely city has more contemporary and ranch style houses. In most cases, the smallest lots are around 10,000 square feet, and the most modest homes as small as 1000 or 1200 square feet, generally, with values beginning at around $1 million for a smaller house that needs a whole lot of work (consider the Paseo and Quito Village areas or nearby for “entry level” houses, or any of the many condominium or townhouse communities for more affordable options). The most expensive homes are truly luxury estates, worth many millions of dollars and usually sitting on multiple acres, frequently with views and in hilly locations west of Highway 9. Generally speaking, homes west of Highway 9 or west of Saratoga-Sunnyvale will be more expensive than those in the Golden Triangle – but not always. Beyond home buying, Saratoga is a good place to retire, too: the Saratoga Retirement Community is a large campus with independent living, assisted living, and nursing care available in an extremely scenic setting. 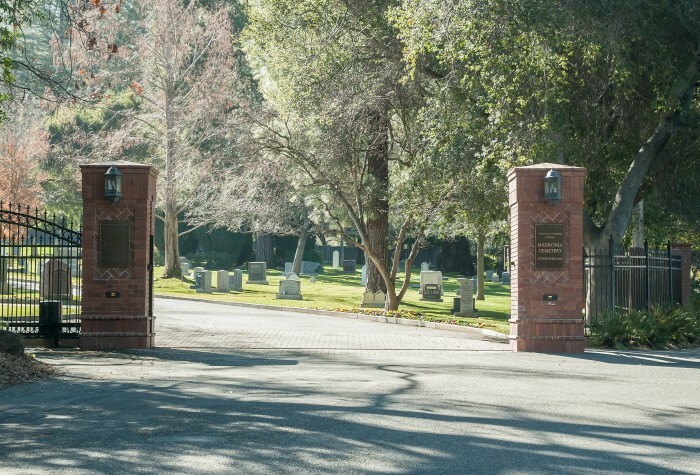 For some, this pretty city also includes the last real estate they will ever need – the beautiful and historic Madronia Cemetery. San Jose’s Almaden Valley is an area of lush vegetation, upscale, family oriented homes and easy access to quality shopping & schools. 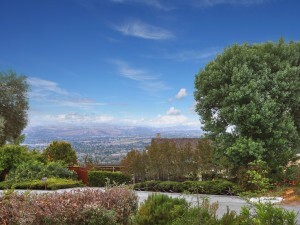 Simply defined by San Jose’s 95120 ZIP code, the Almaden Valley has lots to offer. For recreation, this area is hard to beat. The New Almaden Mines and the New Almaden Quicksilver Mining Museum is a wonderful spot to explore and learn with many historic houses and buildings. Also popular is the Alamitos Creek and the Alamitos Creek Trail. Almaden Lake is a popular place for swimming in season, boating, picnicking, and fishing. For golfers, there is the Almaden Valley Country Club. Home too many high-tech employees, the Almaden Valley is home to IBM’s Almaden Research Center. Those who commute to work will find easy access to all freeways, plus the convenient Almaden Light Rail Station and the Almaden Expressway. It is perhaps most ideal for people who are commuting to downtown San Jose. The public school situation is a little tricky. Most of Almaden is served by the San Jose Unified School District (with one of four elementary schools, two middle schools and two high schools). Northern Almaden is served by Pioneer High School and Castillero Middle School (and often Los Alamitos Elementary School). Southern Almaden, which is more remote and more expensive for real estate purchases, is within the attendance area of Leland High School, Bret Harte Middle School and a number of 900+ API scoring elementary schools. However, not all of Almaden Valley falls into these school areas. 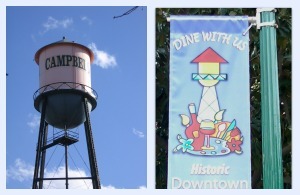 A small portion of homes (Oak Canyon, Montevideo and nearby subdivisions) are in the Campbell Union High School District & Union School District (Branham or Leigh – an “open area” where residents may choose). Finally, oddly enough, a tiny sliver of Almaden is within the boundaries of the Saratoga-Los Gatos Union High School District and Los Gatos Union Schools. These students must hopscotch over the nearer Union Elementary School District areas to get to their campuses (this area is off of Guadalupe Mines Road). South San Jose is one of the more affordable areas in Silicon Valley. It enjoys convenient freeway and transit access, running alongside Highway 101 and Highway 87 at points, and coming quite close to Highway 85, also. The Tamien light rail station is close to South San Jose – nearly in it. Cal Train can be accessed along Highway 101. 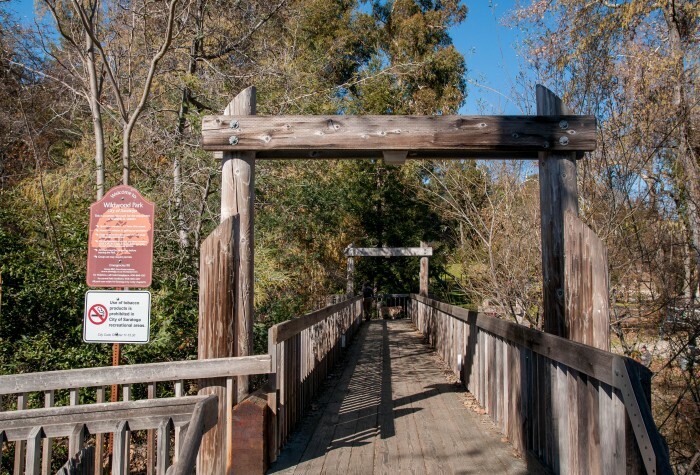 Coyote Creek graces the length of this district, offering lots of open space and park land. Downtown is nearby, and so is shopping at Eastridge Mall, or a visit to Raging Waters. South San Jose is close to just about everything! Where is South San Jose? As the name suggests, South SJ is a district south of downtown. The eastern side is bounded by Highway 101. On the northern end, it runs along a portion of Williams, near downtown. The western border follows Highway 87 in part, then cuts east at Hillsdale and south again on Monterey Street. The southern tip extends to Blossom Hill Road, where Highway 101 and Monterey Street are very close to one another. That area of South San Jose is part of what was once the town of Edenvale. The zip codes for this area are 95111, and parts of 95112, 95116, 95121, 95136, and part of 95122. 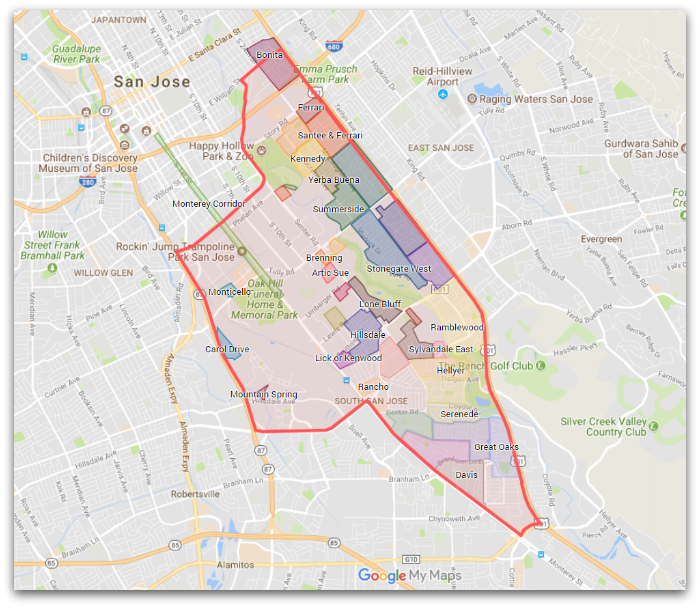 Adjacent parts of San Jose are downtown San Jose (and specifically Naglee Park) to the north, Willow Glen to the west, Santa Teresa and Blossom Valley to the south, and Evergreen to the east. Which neighborhoods are in South SJ? Neighborhoods and subdivisions in South San Jose include Great Oaks, Riverview, Havens, Serenede, Melody, Seven Trees, Hellyer, Los Arboles, Sylvandale East, Rancho, Ramblewood, Locke, Stonegate West, Albanese, Cramer-Umbarger, Brenning, Summerside, Meadows, Rockspring, Kennedy, and Santee, among others. South San Jose includes the much beloved Happy Hollow Park and Zoo and the Santa Clara County Fairgrounds. If you’ve adopted a pet in Silicon Valley, there’s a good chance that you were in South San Jose at the San Jose Animal Care Center. You also know of it for one of the largest, and oldest, cemeteries in the area: Oak Hill. Love to golf? The scenic Los Lagos Golf Course runs alongside Coyote Creek. Last winter, part of South San Jose flooded during an extraordinarily heavy rainfall over a very short period of time. If you’re local, you heard about the devastating impact of the floods in areas along Coyote Creek. Several areas were hard-hit, including the Rockspring neighborhood. How’s the real estate market in South San Jose? Check out all the current real estate market statistics and trends at the Silicon Valley Real Estate Report: South SJ real estate market info.